This page will cover how you can create a clone of a github repository onto your local machine so you can do work with the engine. 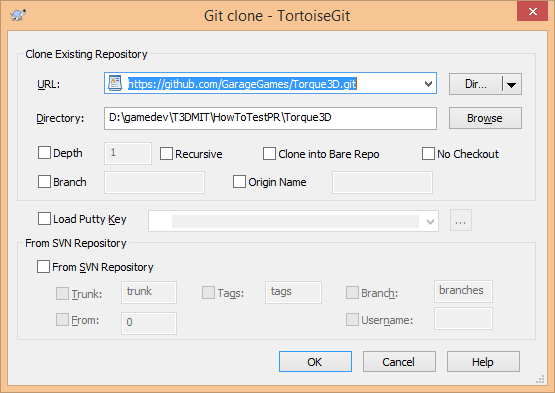 Once you have tortisegit installed and hooked, we'll want to do a clean repository clone. 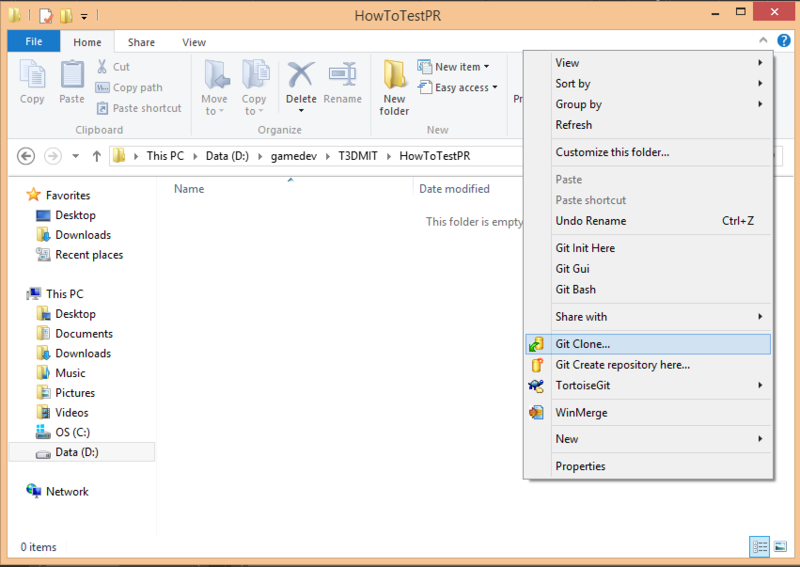 To do a clean repository clone, right click to get the windows RMB popup menu and find the Git Clone option tortisegit has added, as seen in the below picture. Select that and a new window will pop up for setting up the clone. The default settings are fine, so just go ahead and click OK, though you may be inclined to remove the Torque3D from the end of the "Directory" path, as that'll make a new Torque3D folder to put the engine into. Once OK is clicked, it will download everything in the development branch(which is the default branch in the T3D repository). From here, you're ready to do what work you need, such as compiling the engine.